The story began with a skype call from Aditya Mhatre to Abhishek Kumar and a week later Indicast released its 1st episode of The Indicast Show. The team has grown to include interesting people contributing as hosts on the new podcast shows that have been added over time. He is a black belt in karate, a Sachin Tendulkar fan, the least musical person you might have ever come across. He aims to retire early and visit all UNESCO World Heritage sites across the globe with his wife and kid. At Indicast, Aditya plays the geek. He is responsible for all technology development including web, mobile, and telephony. He is also the co-host of The Indicast Show. He is a gully cricketer since age four, a Marlon Brando fan, a table tennis maniac (can play that for hours)… sleeper, reader, scribbler in that order. When he is not “working”, one can find him at any of the coffee shops in Mumbai pretending to be engrossed in reading! Crossword has and still remains his favorite place to hang out. 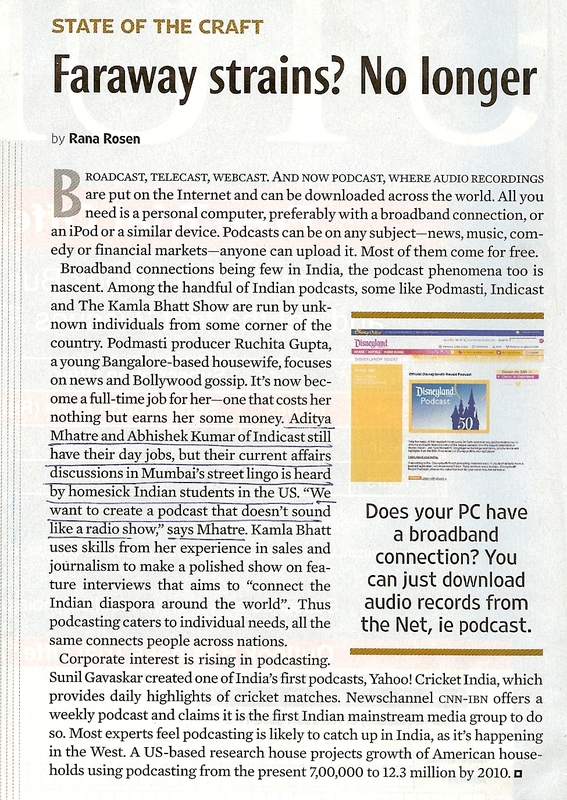 At Indicast, Abhishek is the co-hosts of The Indicast Show and Forbes India Show. Want to be a part of Indicast Podcast Network? Over the years several people have been part of the Indicast team as niche contributors. If you interested in being part of the Indicast team for whatever reason, please write to us at Indicast[at]theindicast.com stating what you would like to do at Indicast. May be we could figure something out.